Contactless payment are secured cashless imbursement through various systems/payment instruments. These systems are facilitated with embedded chip and antennas that help customers swipe their plastic money at sale’s terminal. These payment systems include credit cards, debit cards, key fobs, smart cards or other devices that including smartphones and mobile devices. Technology such as radio-frequency identification (RFID) and near field communication (NFC) are used to make the contactless transactions. EMV (Europay, MasterCard® and Visa®) chips are the leading contactless payment mechanisms used worldwide. These chips aid in combating deceptive actions. Moreover, it helps in protecting sensitive payment information during transaction. Therefore, it allows fast transaction as no monogram or PIN authentication is essential for imbursement over conventional mode. According to the UK Cards Association, in March 2016 about £1,508.4 million was spent through contactless payment modes by UK inhabitants. In addition, it observed that debit cards were more preferred over other payment instruments in UK. Trending use of internet shopping, QR & ID codes and mobile banking services have empowered growth in contactless payment market. E-commerce has amplified the demand for contactless payment owing to the ease of transaction. Moreover, financial service providers are aiming at expedient payment mechanism to provide better services to the customers. However, cash transactions are still preferred by customers owing to threats of cyber-attacks and resistance to technological upgradation in disbursement mode. North America is the leading geography followed by Europe in the contactless payment market. Asia Pacific is rapidly emerging market in this industry owing to the rising adoption and preference to e-commerce. This report examines the global contactless payment market and provides information regarding the revenue (USD Million) for the period 2014 to 2021. 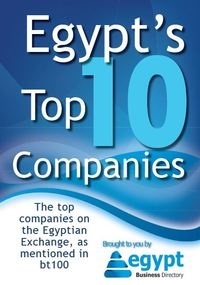 It further elaborates the market drivers which contribute to the growth. It then describes the restraints that are faced by the market. The market is classified into various segments with deep analysis of each segment for the study period. Report includes a detailed analysis on value chain in order to provide a holistic view of the contactless payment market. Value chain analysis comprises detailed evaluation of the roles of various players involved in the contactless payment industry, from raw material suppliers to end-users. Contactless payment market attractiveness analysis has been included in order to analyze the application segments that are estimated to be lucrative during the forecast period on the basis of their market size and growth rate. Attractiveness of the market has been derived from market size, profit margin, growth rate, availability of raw materials, competition, and other factors such as social and legal constraints. 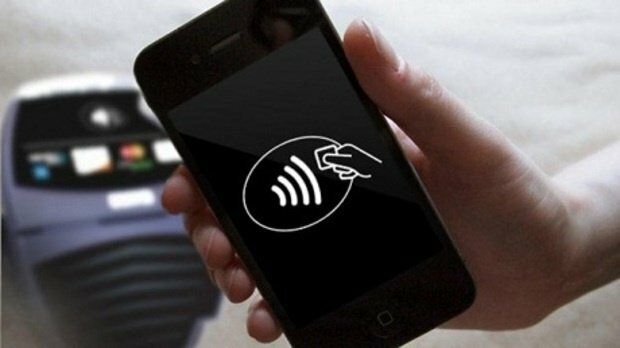 The contactless payment market has been segmented based on solutions such as payment terminal solution, contactless mobile payment solution, device management solution, transaction management solution, data management solution, security and fraud management solution, hosted POS solution and analytics solution. The study provides forecast and estimates market for each solution in terms of revenue and volume during the forecast period from 2015 to 2021. Each solution has been further analyzed based on regional and country levels from 2014 to 2021 in terms of volume and revenue. The contactless payment market has been segmented based on payment modes such as mobile handsets, contactless smart cards and contactless form factors. The study provides forecast and estimates market for each payment mode in terms of revenue and volume during the forecast period from 2015 to 2021. Each payment mode has been further analyzed based on regional and country levels from 2014 to 2021 in terms of volume and revenue. The contactless payment market has further been segmented based on services such as professional services, managed services and multi-channel payment & value-added services. The study provides forecast and estimates market for each service in terms of revenue and volume during the forecast period from 2015 to 2021. Each service has been further analyzed based on regional and country levels from 2014 to 2021 in terms of volume and revenue. The contactless payment market has been segmented based on applications such as government, banking, financial services and insurance (BFSI), telecommunication & IT, transportation & logistics, energy & utilities, healthcare, retail, hospitality and others. The study provides forecast and estimates market for each application in terms of revenue and volume during the forecast period from 2015 to 2021. Each application has been further analyzed based on regional and country levels from 2014 to 2021 in terms of volume and revenue. About Us: DecisionDatabases.com is a global business research reports provider, enriching decision makers and strategists with qualitative statistics. DecisionDatabases.com is proficient in providing syndicated research report, customized research reports, company profiles and industry databases across multiple domains. Our expert research analysts have been trained to map client’s research requirements to the correct research resource leading to a distinctive edge over its competitors. We provide intellectual, precise and meaningful data at a lightning speed. DecisionDatabases.com is a global business research reports provider, enriching decision makers and strategists with qualitative statistics.